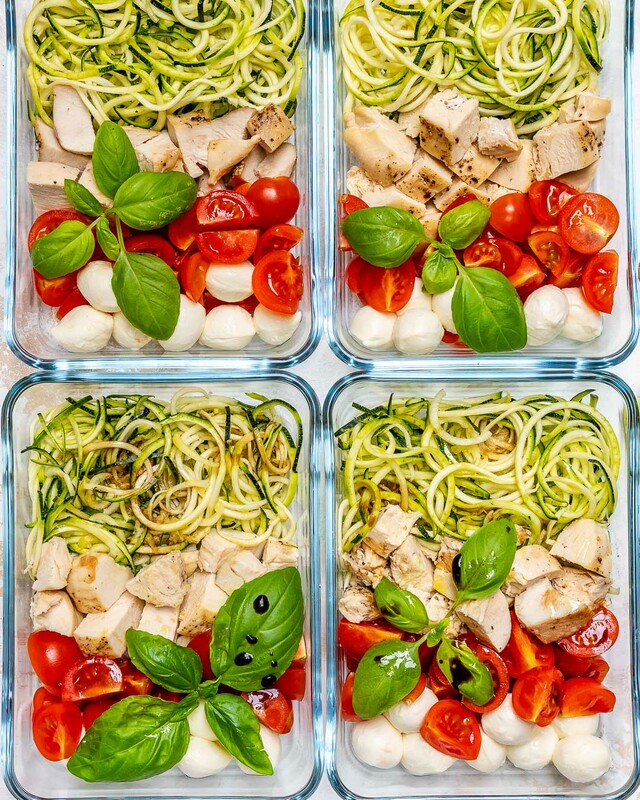 Try these Caprese Chicken Zoodles for Clean Eating Meal Prep! 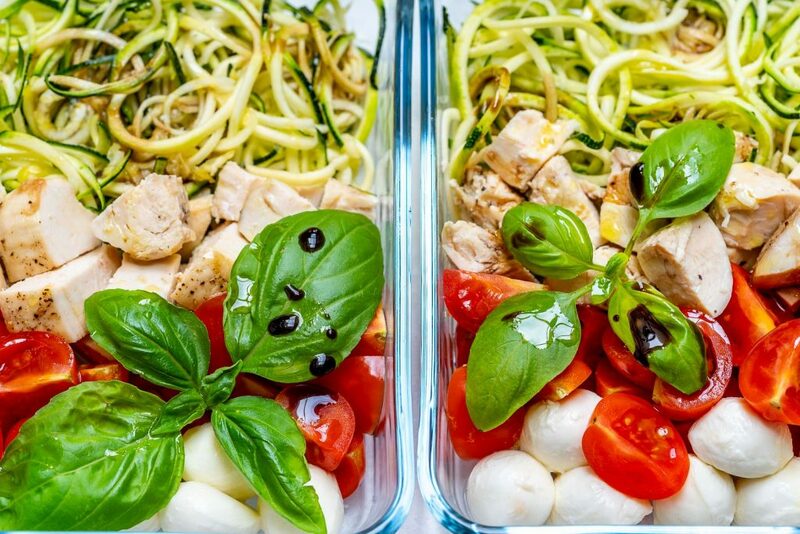 Here’s a little bit of #FoodPrep action for ya. I love caprese ANYTHING, so this combo is super satisfying for me. 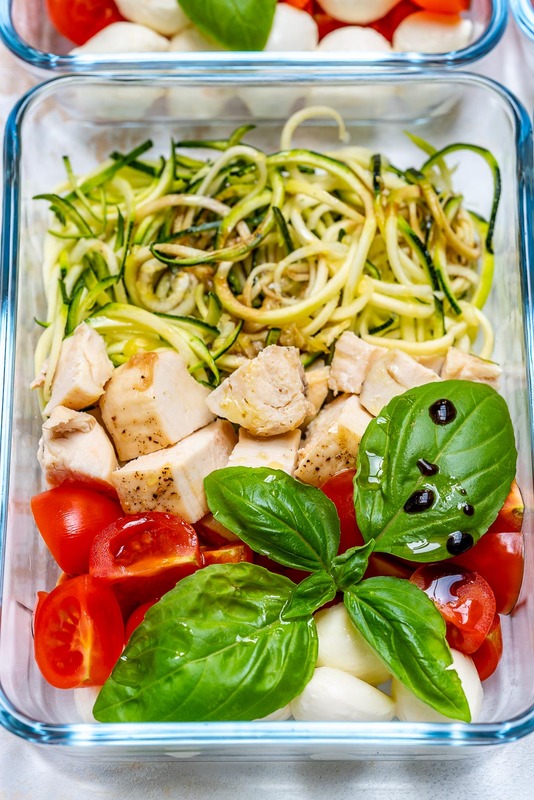 In a baking dish toss the chicken with 1 tablespoon olive oil, & sea salt and pepper to taste. Bake in the preheated oven for about 22-28 minutes, until cooked through. Allow to rest 10 minutes before slicing into cubes. 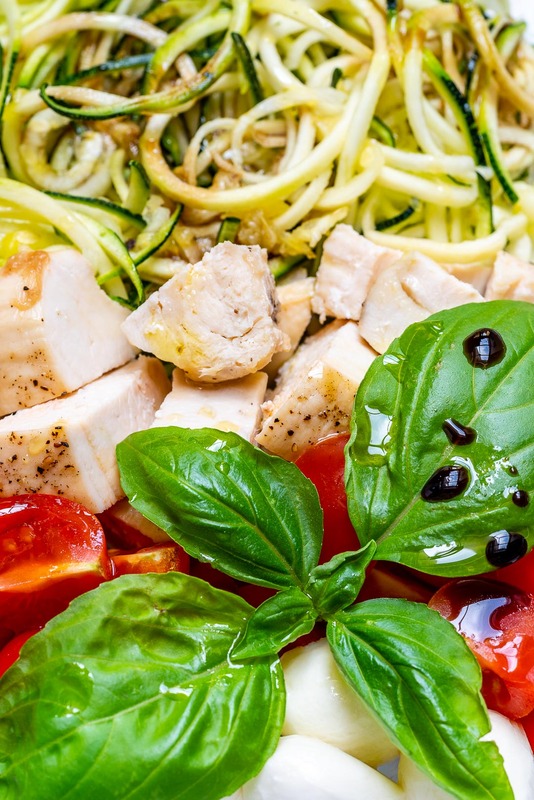 Meanwhile, make the zucchini noodles using a spiralizer ( Cleanfoodcrush.com/spiralizer ). 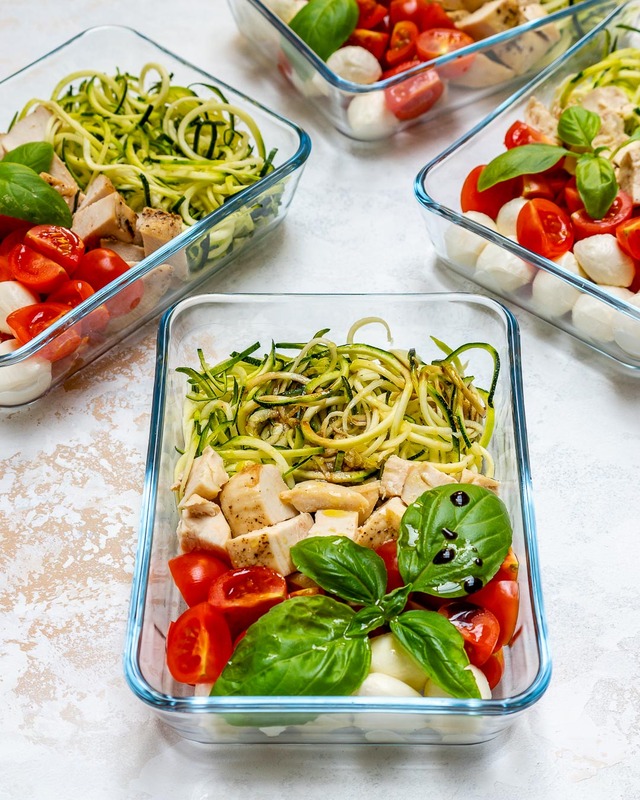 To assemble the meal prep bowls add the followings to each one: 1/2 cup zoodles, 1 cubed chicken breast, 1/2 cup cherry tomatoes, 1/4 cup mozzarella balls, and basil leaves. Just before serving drizzle lightly with a mixture of extra virgin olive oil, balsamic vinegar and season with sea salt and pepper if desired. 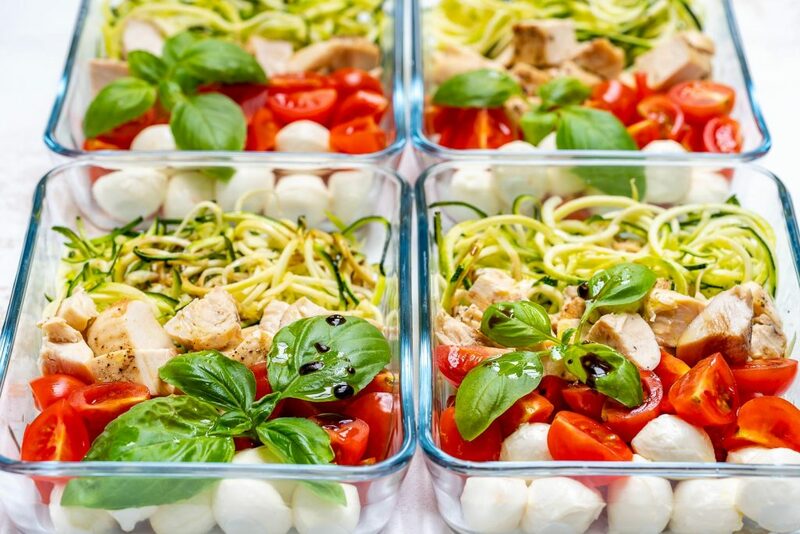 These stay well in the fridge, and best eaten within 2-3 days. 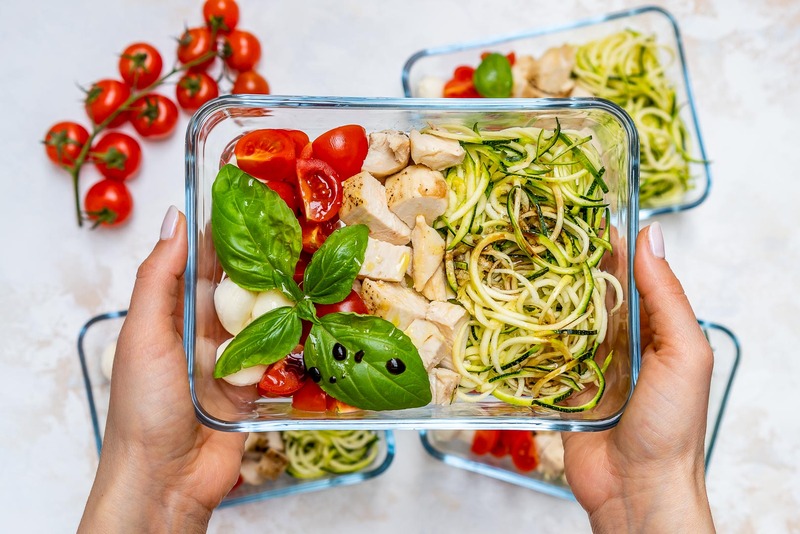 Heat the oven to 375 degrees f. In a baking dish toss the chicken with 1 tablespoon olive oil, & sea salt and pepper to taste. Bake in the preheated oven for about 22-28 minutes, until cooked through. Allow to rest 10 minutes before slicing into cubes. 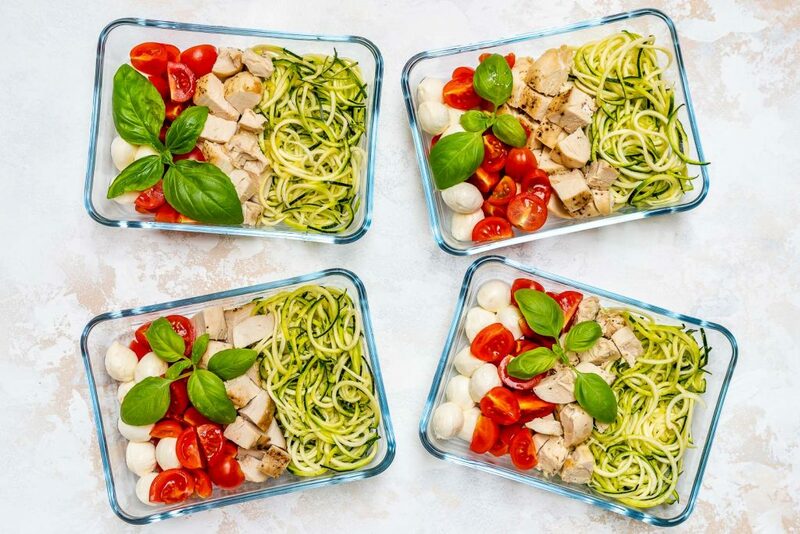 Meanwhile, make the zucchini noodles using a spiralizer: Cleanfoodcrush.com/spiralizer To assemble the meal prep bowls add the followings to each one: 1/2 cup zoodles, 1 cubed chicken breast, 1/2 cup cherry tomatoes, 1/4 cup mozzarella balls, and basil leaves. Just before serving drizzle lightly with a mixture of extra virgin olive oil, balsamic vinegar and season with sea salt and pepper if desired. 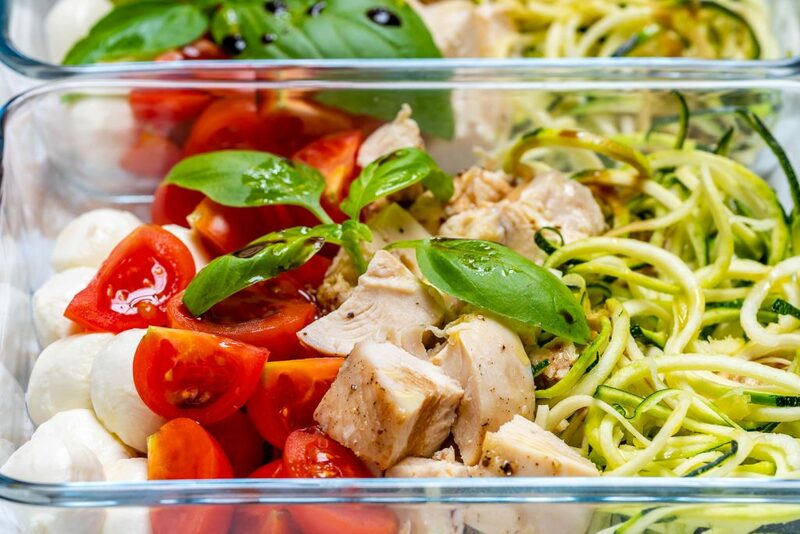 These stay well in the fridge, and best eaten within 2-3 days.